Many silent, passive-aggressive wars have been waged for outlet space at Starbucks. It usually ends with some bespectacled "poet" claiming victory, yet again, but that jerk's reign of terror ends today. 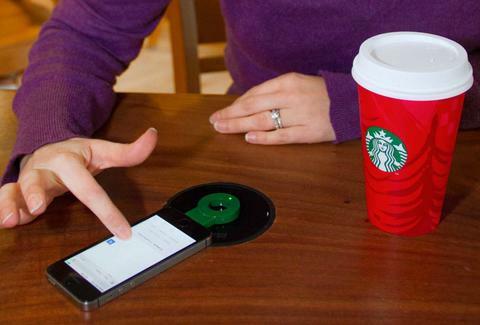 The coffee chain has begun testing a wireless charging system in 200 stores in San Francisco, and it's poised to expand nationwide in a matter of months. Here's how the Powermat system operates. First, you acquire a Duracell "ring" (borrow it for free or buy it for $9.99) from a Starbucks barista. Next, you locate the designated Powermat Spot on any of the shop's tables. Hook your phone up to the ring, place it all on the Spot, and watch your battery rack up percentage points. At the moment, this life-saving set-up is confined to the Bay Area, but Sbux plans to offer Powermat in shops across the country, and even in Europe and Asia, within the year. Pretty soon, the only things that'll be wired in Starbucks are the customers. Kristin Hunt is a Food/Drink staff writer for Thrillist, and would like someone to make her purse Powermat-compatible next. Follow her at @kristin_hunt.